Angel Glockenspiel. 25 Note, supplied with 2 beaters. 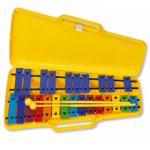 Rainbow coloured sound blocks. blue case with collapsible legs. 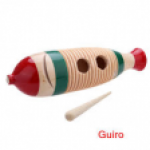 Wooden fish shaped guiro. 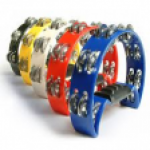 Scrape the wooden needle along the ribbed surface to create a fantastic percussive sound.